Children become scientific investigators as they explore pumpkins inside and out using all five of their senses. The fun doesn't end there though because the leftover pumpkin seeds and pulp are perfect for cooking and sensory activites galore! Print and enlarge the 5 Senses Pictures and Words from the KidsSoup 5 Senses Chart or Word Wall printables. 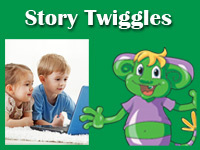 Use the pictures to create a large wall chart to collect children's data. Make several copies of the Five Senses Checklist for children to use to record their findings. Obtain 3 to 5 types of pumpkins. Choose a pumpkin to start with and provide time for children to experience it with their five senses. Cut the top off of the pumpkin and give children tools, such as scrappers, tongs, and spoons, to remove the pulp and seeds from inside. Provide some magnifying glasses as well. Explain to children that they should pay attention to how the pumpkin looks, feels, smells, and sounds. If you like, cut small pieces of the pumpkin for children to taste. When I want to know how the pumpkin tastes, I use my tongue to taste! When I want to know how the pumpkin smells, I use my nose to smell! When I want to feel the pumpkin shell, I use my hands to touch! Let children record their findings on their Five Senses Checklists. Then, gather children together and have them reference their checklists to describe how the pumpkin felt, smelled, sounded, looked, and tasted. Write the words they provide in the corresponding column of the wall chart. 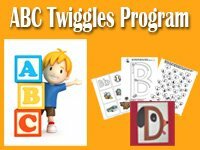 Over a few days (depending on how many pumpkins you have), complete the exploration activity for each type of pumpkin and fill in the corresponding columns on the wall chart. Refrigerate the pulp in large baggies to save for cooking activites or sensory tables. Let children use their fingers, tweezers, and tongs to separate out the seeds, which can later be roasted. The pumpkin pulp can be cooked in a slow cooker with some water. Once it cools, children can put on food service gloves, remove the peel, and mash the pumpkin into a puree to use with bread or pie receipes. Dig in to this Pulpy Pumpkin Sensory Bin from Childhood Beckons or make these Pumpkin I Spy Bags from The Golden Gleam. We loved the pumpkin seeds exploration, fine motor skills, and artwork activity from teachpreschool.org. Get access to all our over 9,000 preschool and kindergarten resources! 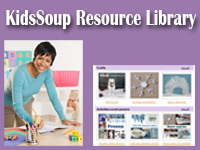 Sign up for the KidsSoup Resource Library membership now! Only $26.99 for one year!